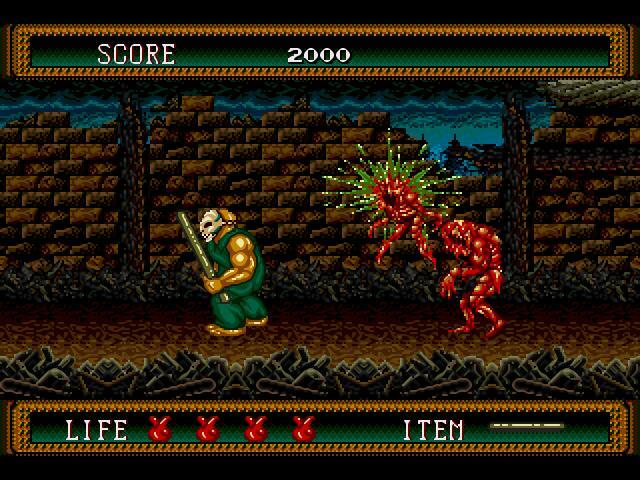 This week Fred is playing two versions of Splatterhouse. 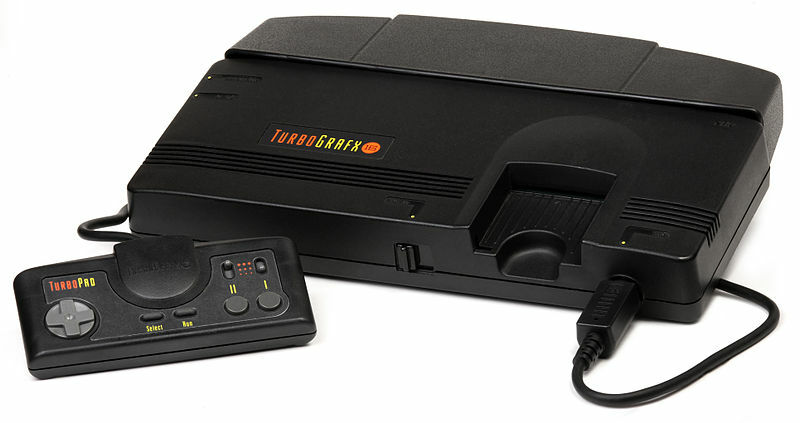 The first is the US Turbografx-16 port of the Japanese arcade title, slightly modified to avoid lawsuits in regards to lead character Rick’s similarity to Jason Voorhees from Friday the 13th. 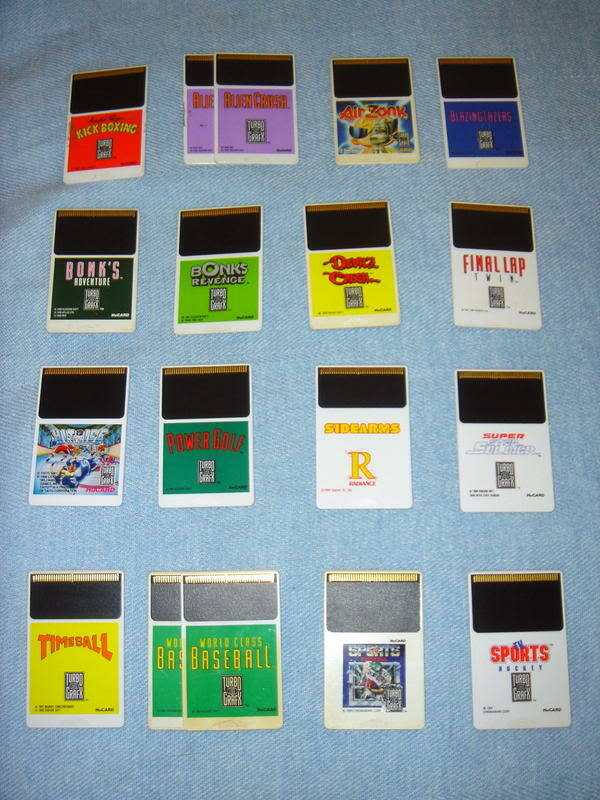 The second was only released in Japan on the Famicom (NES) due possibly to some even more obvious legal concerns. It was titled Wanpaku Graffiti. Enjoy! Now I remember very fondly getting this game with my brothers when we were younger. My dad deliberately chose it for us because of the title since he was a fan of horror and gore. A game, whether brand new or pre-owned, in our household was rarer than a UFO sighting when we were younger so we relished in any game thrown at us. 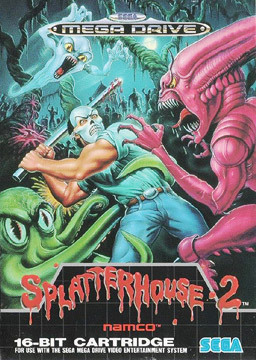 Splatterhouse 2 shared a special place in our little hearts. 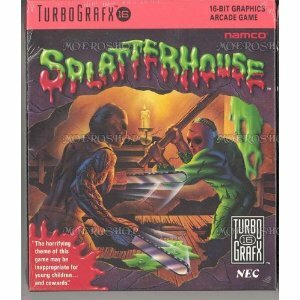 The story of Splatterhouse 2 will depend on your familiarity with the first game released in arcades and the TurboGrafx-16. The basic plot is you are Rick and you have a mask which looks a lot like the Jason Voorhees hockey mask (he was the killer in the Friday the 13th series) and your job is to rescue your girlfriend, Jennifer. The mask is known as the “terror mask” or “hell mask” depending which version of the game you own. The mask gives you super powers and also sort of possess you as it talks to you during small cutscenes between levels.